New Zealand, take a bow. According to Lonely Planet, we're deserving of six of the world's ultimate eats, with Kaikoura's crayfish scoring the coveted #7 spot. 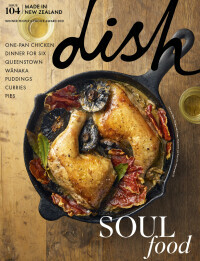 To celebrate, the Dish team have created a recipe collection dedicated to all things Kiwi, celebrating everything from our Manuka honey to the humble Kiwi pav.